Now it's easy to create your own website in minutes. Manage your existing ISU Sites or start something new. With ISU Sites, you can spend your time on what's most important to you, because your ISU Site is easy to set up and simple to maintain. Don't worry. ISU Sites look great on phones and tablets, so you can be sure you've put your best foot forward no matter where you are. We've made sure your content is accessible to all kinds of users. ISU Sites are 'born accessible' and we've provided all the tools you need to keep it that way. 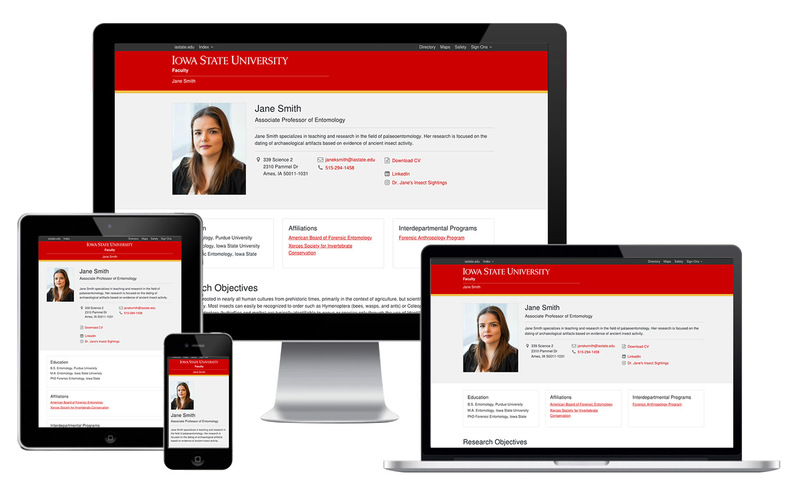 Watch our latest webinar on how to create your ISU faculty website. Subscribe to receive email updates on the status of ISU Sites. Enter your Iowa State University email address to subscribe or unsubscribe.